A wedding commission showing four generations of the bride and groom’s family as well as the homes in which they grew up. Piece is 22 inches wide by 16 inches tall, $500.00 US. Welcome to Chris Perisich Studios, home of hand painted family tree artwork that instantly become the most treasured of family heirlooms. 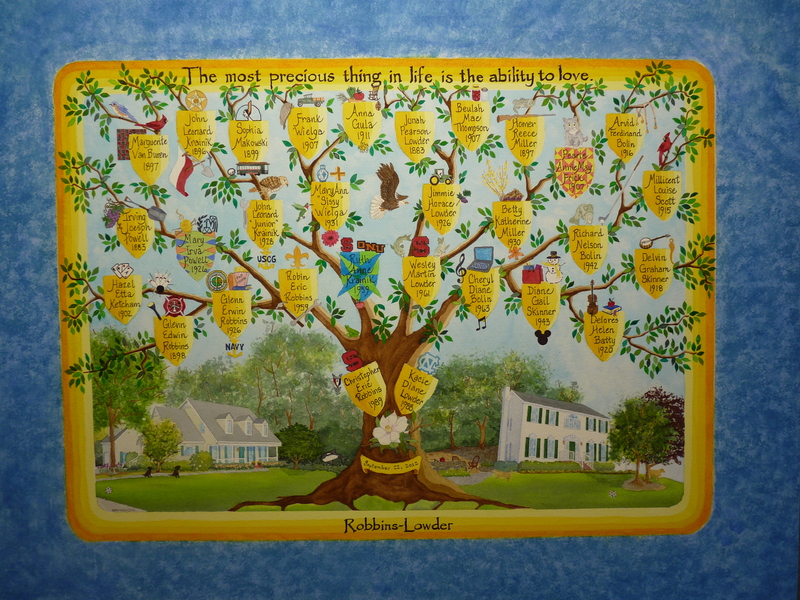 Each watercolor & ink work of modern folk art will graphically portray your family's history for the generations to come. These commissions make truly meaningful wedding, anniversary and birth gifts.